Posted by karthik on Thu, 12/14/2006 - 16:10. Posted by souna on Fri, 09/29/2006 - 17:24. Posted by ngelay on Sat, 04/19/2008 - 07:30. Posted by alec porter on Sun, 02/03/2008 - 07:46. Posted by ashish on Fri, 08/25/2006 - 06:00.
hey there i need some owesome stuff like some software. right now i have a basic accostic guitar and i wanna master it as soon as possible so plz help me. Posted by Shahriar on Mon, 02/20/2006 - 16:48. I am from Bnagladesh and a beginnerin Guitar. Posted by sreekunnath on Wed, 10/26/2005 - 01:42. Posted by sunny farrell on Wed, 09/06/2006 - 07:50. Posted by joseph on Tue, 04/26/2005 - 23:44. Posted by Danny El on Sun, 11/09/2003 - 19:15. I've tried many programs and courses, and this is *it*. Posted by Nadhir on Sun, 11/03/2002 - 12:06. It is my first time to hold a guitar as a beginner i would like to learn how to use it if that possible , thank you . Posted by Gary Rogers on Thu, 03/28/2002 - 09:39. Why can't I download Absolute Fretboard Trainer in Australia ? 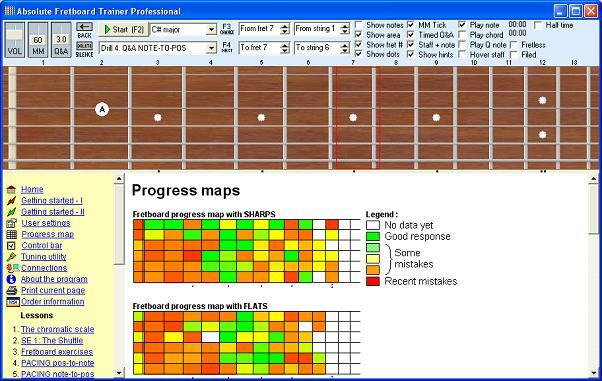 Posted by jose luis on Tue, 06/04/2002 - 19:06.
: Why can't I download Absolute Fretboard Trainer in Australia ?